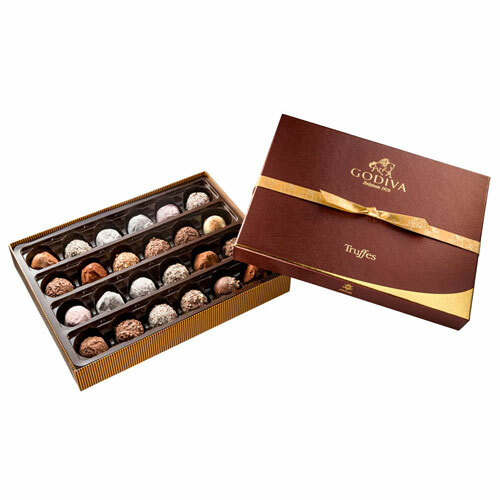 It’s definitely a case of the more the merrier when it comes to Godiva truffles, and the 24 pc Signature Truffle Assortment is a box bursting with pleasure. The creamy, soft truffles are enrobed in white, milk or dark chocolate, before being perfectly finished with a variety of toppings, to take the truffle experience to another level of enjoyment. This large, elegant box of finest handcrafted truffles is a dream to receive, share or savour to yourself.